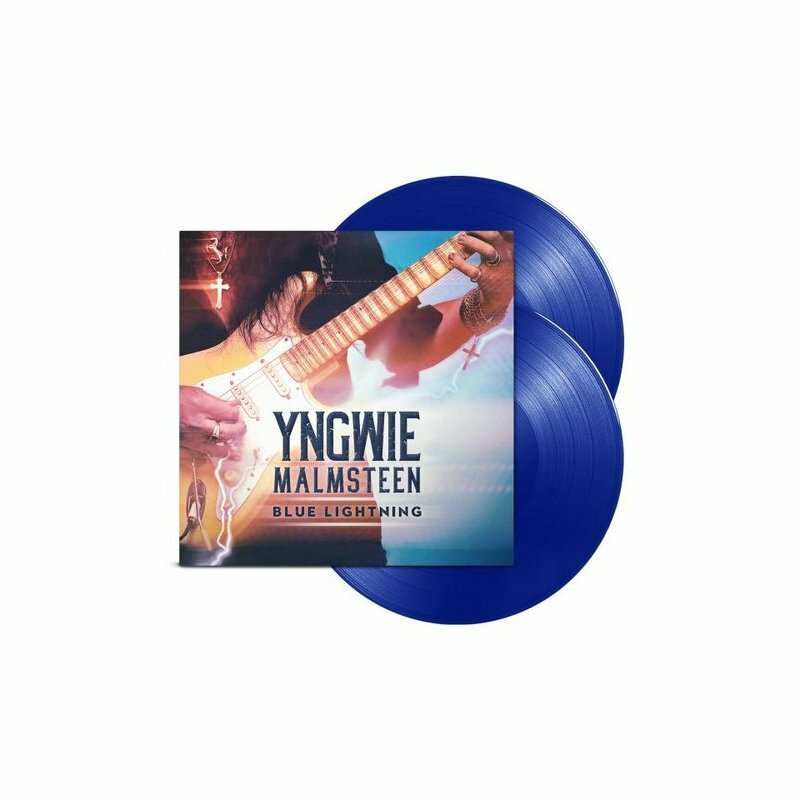 Mascot Records, 180g double blue vinyl, Legendary guitarist Yngwie Malmsteen releases Blue Lightning on March 29, 2019 on Mascot Records. To call Yngwie Malmsteen a 'maestro' or 'virtuoso' is to state the obvious. But such terms don't do sufficient justice to either his talent or impact. There are innumerable guitarists who have copied a small part of the vast musical spectrum that defines him, but nobody comes close to achieving what he has over a period of nearly four decades. Now, with 'Blue Lightning', the man highlights not only his enduring dexterity and diversity, but also pays homage to those from the blues world who have fuelled his artistic spirit for so long. Anyone who is expecting Malmsteen to copy exactly the way the original versions sound is in for a shock. Because that is not what he has done. He has masterfully transformed classics like Smoke On The Water, Purple Haze and While My Guitar Gently Weeps into his idiom, and wrote and recorded 4 new tracks for this album.